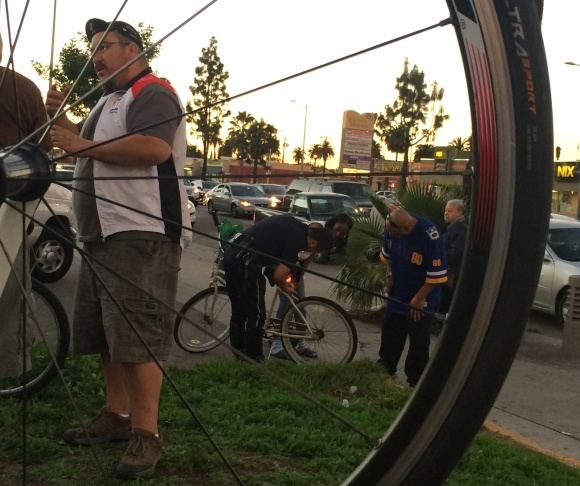 Jose Rojo, volunteer with the LA County Bike Coalition, conducts a survey with a bicyclist before handing out a set of free bike lights. 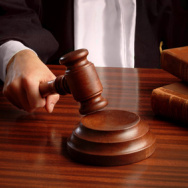 State law requires all cyclists have a front light and a rear reflector when traveling at night. 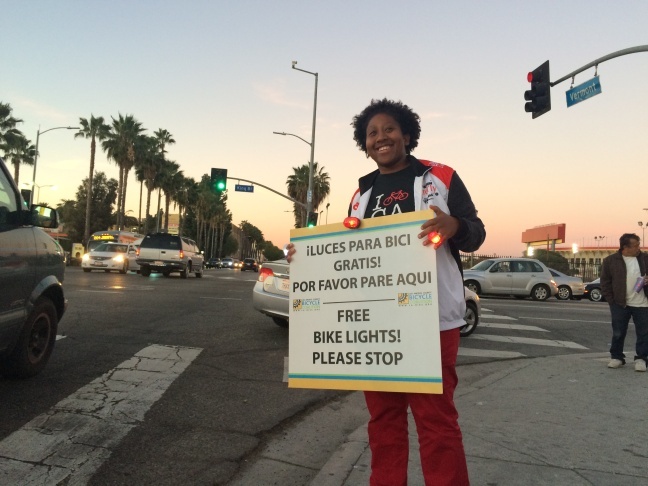 Tamika Butler, executive director of the LA County Bike Coalition, at a corner in South LA. The Coalition hands out free lights to cyclists through its program Operation Firefly. 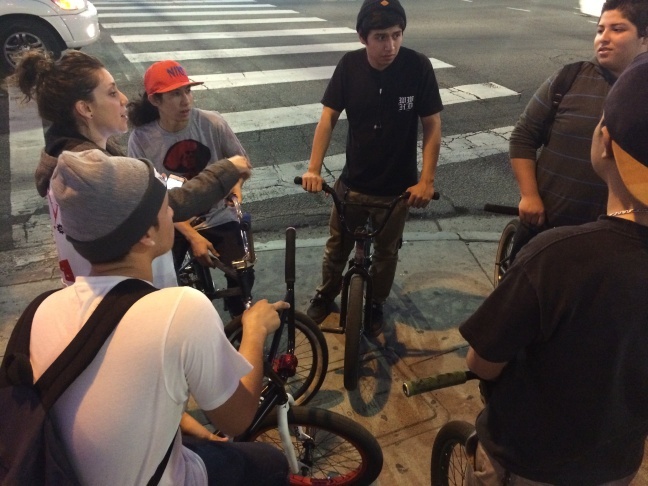 A group of young cyclists on a street corner in South LA take a survey by the LACBC for a set of free bike lights. 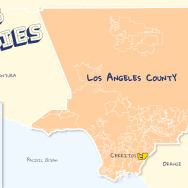 * Stats were pulled from 2012 data by the California Highway Patrol. 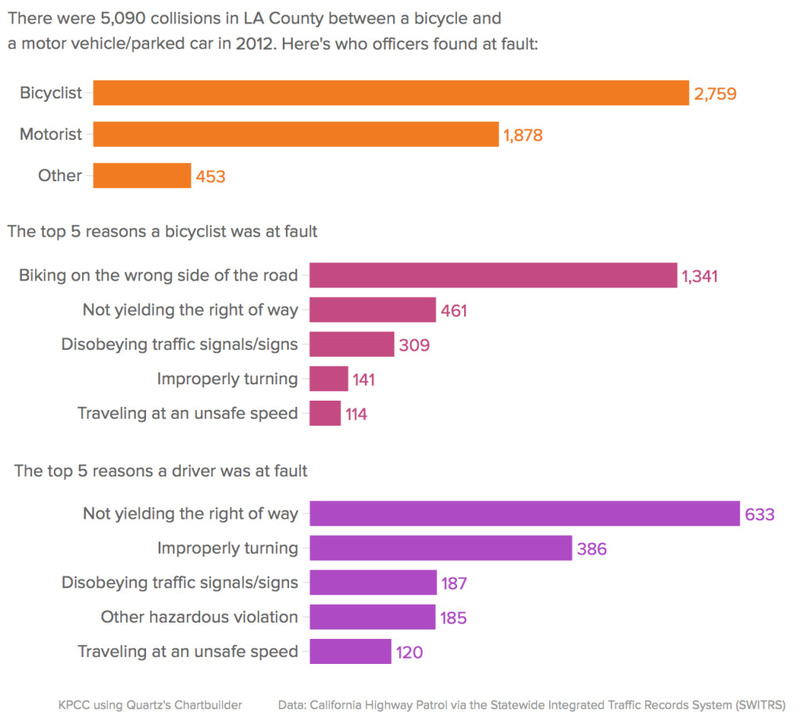 We queried how many collisions in L.A. County involved at least one bicyclist and a motor vehicle/parked vehicle, and who was determined to be at fault in those cases. KPCC Asks: Cyclists: How did you learn the rules of the road? Should the news pay attention to #TheDress, runaway llamas?